Transition Events are marked with (TC) and have bold type. Other events are organised by a variety of organisations as indicated. Friday 10th: Talk by Dr Alison Cooke: Energy, Climate Change and the United Nations - your future in their hands! The annual sustainability art exhibition at Anglia Ruskin features the work of students at the College of Art. 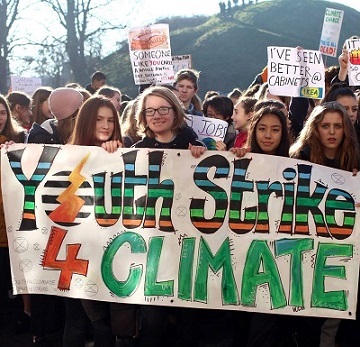 The organisers say: 'Many are the areas where sustainability unfolds its devastatingly simple logic, such as climate change, access to resources, feminism, gender inequality, cultural values, cultural colonisation, speciesism, food production and distribution, geopolitical conflicts; the list goes on. Little Acorns Playgroup Weekly Forest School sessions for pre-schoolers and their families. Sessions are weekly on a Thursday - 09:30 - 11:30. during term time; the next season will be 7th March to 4th April. Then Thursday 25th April to Thursday 23rd May. During our Forest School sessions we encourage and support children to play independently, explore and discover nature in our beautiful 5 acre woodland. There are also adult led nature crafts and bush-craft activities available including all the materials and equipment necessary. One of our favourite times is snack time, we often cook together and there is always tea and coffee available for grown ups. Join Claire Thompson and the Wildlife Trust BCN for a session exploring mindfulness of nature in the peaceful setting of Trumpington Meadows nature reserve. Discover how being more mindful of nature can inspire us to bring forth a healthier, happier, more peaceful and sustainable world. For decades now supermarkets have been pre-packaging more and more goods in order to increase their profitability by increasing the ease with which they can sell. This practice has come at a significant cost to the environment and there is a growing 'zero waste' retail movement which has started to sell loose goods into containers that customers bring themselves. Join Transition's community farming project, CropShare, to experience life as a real organic farmer... This week we will be having fun helping out on the farm from 10:00am to 12.30pm, and 2pm to 4.00, sharing a lunch and a chat in between. You can join us for the morning or afternoon session, or both. Everyone is very welcome! See our website to get a flavour of what workdays are like. It will be good healthy fun, a great chance to see our local countryside, and how food is grown on a large scale. Please fill in this form if you would like to take part, and we'll also help you arrange travel to the farm. If you can't make this Saturday, join our mailing list to get farm session updates... Hope to see you soon! If you have items that need mending - bikes, clothes, jewellery, toys, tools, electrical and IT equipment including printers, small pieces of furniture etc - bring them along to the Royston Repair Cafe. It's simple - bring an item (we might be able to look at a second) that you think still has life in it.If it can be mended there and then, we'll show you how it's done! Note: this is a clinic not a hospital - if it needs more attention we'll refer you to a local repair business - we are not a replacement for the professionals. It's free but please book in advance and tell us about what you'll be bringing. This is to make sure we have a repairer available to assess your item. If there's a lot of interest in the event, we may have to allocate you a time slot to reduce queuing (although there will be tea, coffee, biscuits and chat so time will fly). You can reserve a space by going to the eventbrite booking page. This annual cycle ride is a celebration of all things cycling as well as all the fun of the fair! The route is a leisurely 2 hours each way (you can also cycle from Ely or Newmarket Road P+R). The route takes in fen-edge countryside and quiet villages - some of it is on NCN cycle routes, and there are marshals. The ride arrives in the village of Reach for the opening of the historic country fair at noon by the Mayor of Cambridge. The fair dates back over 800 years and still has the tradition of throwing pennies for "the poor villagers" - children today scrabble for as many as they can. There are stalls, fairground rides, a maypole, Morris dancing and food and drink tents. It's perfect for a family day out. Friday 10th May: Talk by Dr Alison Cooke: Energy, Climate Change and the United Nations - your future in their hands! The talk commences at 19.30 followed by a break for refreshments before the AGM of Fulbourn Forum for community action. Visitors are welcome to come for the talk only. Email us for queries. The UN's Intergovernmental Panel on Climate Change warned last year that the next 12 years will be crucial to avoid the most devasting consequences of climate breakdown. Since then reports have underlined the escalating crisis. Dr Cooke gave a talk for us in 2010 after her participation in the 2009 Climate Change Conference in Copenhagen. Dr Cooke is a Fellow of the Institution of Mechanical Engineers and has worked on national energy planning over the last decade. She was the International Coordinator of the Institution's 'Future Climate - Engineering Solutions' project. Her talk will evaluate the key messages announced by the scientists, investigate the energy plans for the UK, and comment on the United Nations climate meetings, bringing the issues back to local responses. 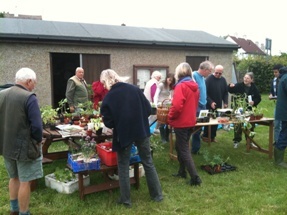 We will have another plant swap in June. Wednesday 22nd May: Sustainable Finance: How do you make your biggest impact? Banking, Investing, Mortgages, Avocado? Join us at the Transition Cafe for a brief presentation and discussion on the impact of our personal finances and how we can make the most drastic gains for sustainability. We will focus on practical steps to make a positive change - NOW. Spaces are limited, so please make sure to book on Eventbrite). We invite donations of £2-£3 per person to cover venue hire. Have you ever wondered if a fair globalisation is possible? Or even questioned the validity of globalisation in our changing societies? This Transition cafe evening wishes to explore our collective visions for the future, addressing the pros and cons of globalisation, and sharing ideas on how to evolve locally and beyond. Spaces are limited, so please make sure to book on Eventbrite. We invite donations of £2-£3 per person to cover venue hire. 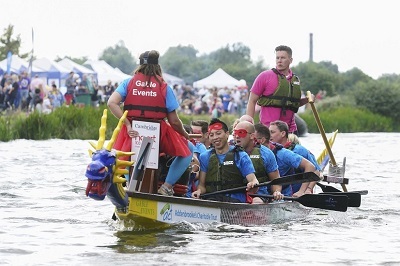 Gable Events is proud to have once again joined with Festival charity, Addenbrooke's Charitable Trust, to bring you the 15th Cambridge Charity Dragon Boat Festival. The Festival is open to everyone and over 40 crews are expected to battle it out over the 200m race course, watched by several hundred spectators. The Ditton Meadows location offers a superb venue for racing and a fabulous day is guaranteed with plenty of bank-side family entertainment including funfair activities, inflatables and children's rides plus a variety of food stalls and bar. Open Eco Homes celebrates its 10th year in 2019! They offer bookable tours of low-carbon homes, eco-renovations and newbuilds - the dates for 2019 are Sunday 22nd and Saturday 28th September. If you live in an eco-home, old or new, and you'd like to share your story and inspire visitors, get in touch. Bring your good quality clothes that you no longer wear, and pick up clothes that will be new to you. Please only bring clean clothes, preferably ironed and on a hanger. Accessories too! The curtains of the Hall will be closed & there is plenty of space in the back room for trying on outfits. If you feel you don't have suitable clothes or accessories to swap you are still most welcome. We'll be collecting unused toiletries which we will donate to a local women's shelter. If you would like to contribute we are looking for: body wash, deodorant, face flannels, face wash, nappies, personal hygiene & essential beauty items, sanitary products, shampoo, shaving gel/cream, toothpaste & toothbrushes.